Shale oil and gas has changed the global energy landscape – today there is an abundance of natural gas. Applications are expanding and LNG is replacing diesel, burner fuel, and propane. 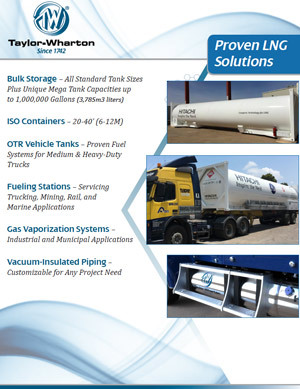 Taylor-Wharton is at the forefront of customizing LNG solutions for these established and emerging applications.